Grimsley Rose » Grimsley Rose Joins Forces With Uncle Ted Nugent!! Grimsley Rose Joins Forces With Uncle Ted Nugent!! 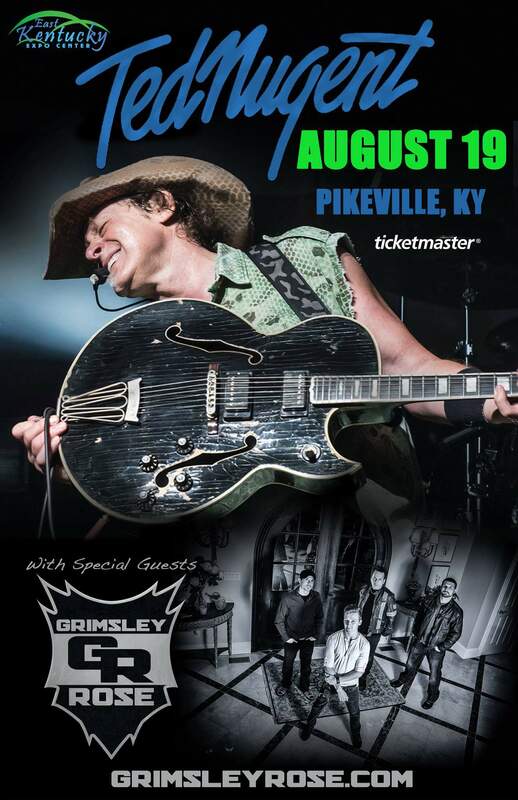 ​Join us on August 19th, as we prepare to tear the roof off of the East Kentucky Expo Center in Pikeville, KY. We’ll be opening for the legendary Uncle Ted Nugent! Grimsley Rose is slated to open for Saliva! All Rights Reserved. © Grimsley Rose. Support Local Music.